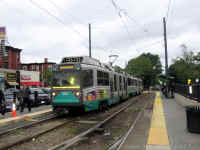 Boston’s “Green Line” is more accurately a system of four streetcar / light rail lines serving Boston that converge into a common subway in the downtown area. 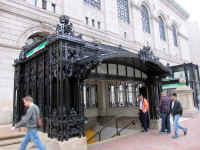 The subway is America’s oldest, the first portion having opened in 1897. 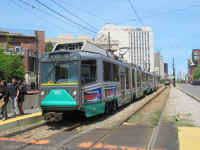 It’s been in continuous service ever since, with numerous extensions and modifications down through the years. 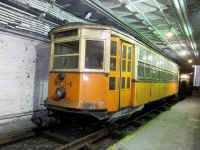 Streetcars twist and turn through the elderly network of tunnels, operating over grades as steep as 8 percent. 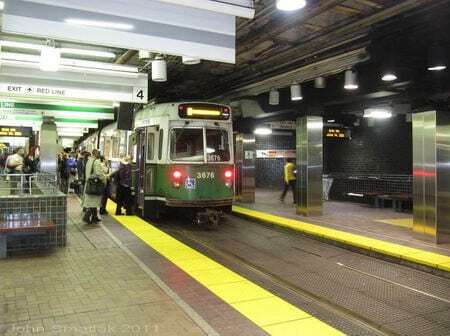 The Boston subway is a must-see for any student of rail transit. 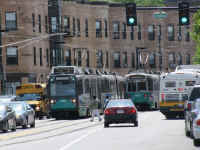 Today’s MBTA Green Line is the nation’s busiest Light Rail line, carrying over 240,000 riders every day. 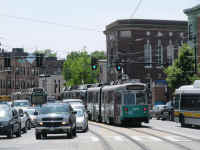 The four branches operate in a variety of different right-of-way types, ranging from the aforementioned subway to short street-running sections in mixed traffic. 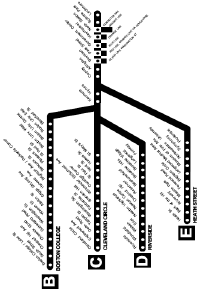 Several of the alignments are located within landscaped street medians. 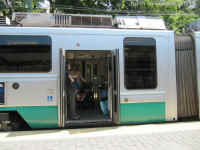 As with other legacy systems, the Green Line still uses “pay-on-entry” fare collection outside of the subway, with operators stationed in each car of a multiple-unit consist. 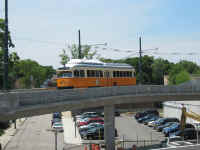 MBTA also operates the interesting 2.6 mile Ashmont – Mattapan Line using rebuilt PCC trolleys. 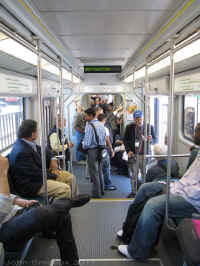 At the system level, the line is treated as an extension of the Red Line subway, even though it uses totally different equipment. 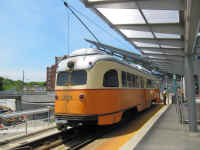 The terminal station at Ashmont was recently rebuilt to offer a more convenient connection for passengers between the two services. 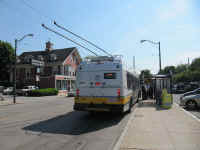 The line operates entirely on a segregated right-of-way. 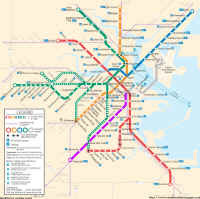 Click on the maps at left for more details on how the Green Line fits within the overall Boston transit system, and for details on the four branches. 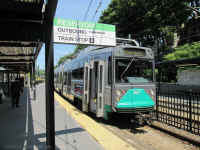 The Green Line and other Boston transit operations are well covered on other websites, including the New York City Subway Resources site. 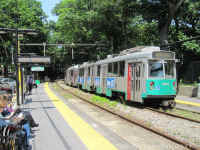 for more than 110 years. 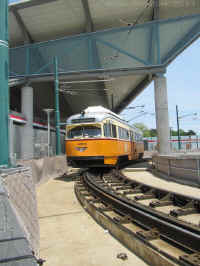 equipment on the Green Line was delivered between 1999 and 2008.
through a park-like setting on the Riverside branch. 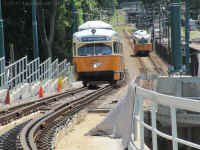 train of Breda cars outbound at the Reservoir stop. 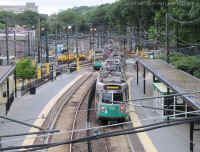 fence at the Park St. subway station. 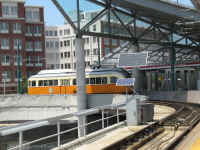 new ramp for the rebuilt terminal at Ashmont. 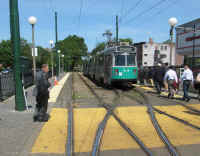 old streetcar rail poking through the pavement in the foreground.